Dr. Yuchee Chih has had a strong passion for Traditional Chinese Medicine (TCM) for a long time. He is a Registered Acupuncturist in Alberta and is well versed in Internal Medicine. On top of that, he has advanced training in Orthopedics Sports Acupuncture. 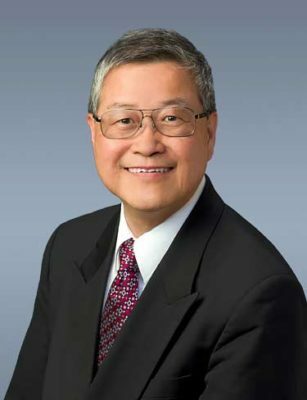 Dr. Chih completed his advanced study in China and focused primarily on the endocrine system for chronic diseases, immune disorders, reproduction and western medicine/cancer treatment side effects; musculoskeletal illness for pain management and after stroke recovery; neurology for PTSD, headache, depression, anxiety, insomnia, life cultivation for anti-aging, pre-diabetes, pre-renal, pre-prostate. Putting patients care first, utilizing TCM to manage their pains, maintain their health, and cultivate their life are the main goals for Dr. Chih’s practice. Integrating with western medicine, other compliments, and supplementing alternative healthcare professionals, Dr. Chih will customize a holistic treatment approach to achieve your healthcare goals. To learn more about Healing Hands Family Wellness or to book an appointment with Okotoks Acupuncturist Dr. Yuchee Chih, TCM, we invite you to contact our office – we look forward to hearing from you!